It’s International Break week, so I thought I would take a break, too. Luckily, a good friend and fellow obsessed Milanista offered to give me such a break, and wrote this fantastic post for you. He is known around the realm of Twitter as Calcioreports, please read and comment. Maybe if you say enough nice things, he’ll help me out again sometime! If a picture is worth a thousand words, how much is your center back? I had promised Elaine I’d contribute to the blog. Got home at 11 PM local time and I was yet to start on something for the Obsession. First, I thought of pulling a ‘dog ate my homework’ on her, but I felt guilty even thinking of that – note to self, must by more butter. I started browsing the internet for something interesting and found Thiago Silva being linked with Barcelona. And that was to be my topic. So, here we go – again, in Silva’s case. Our Il Capitano Futuro – according to me – has had a troubled career. 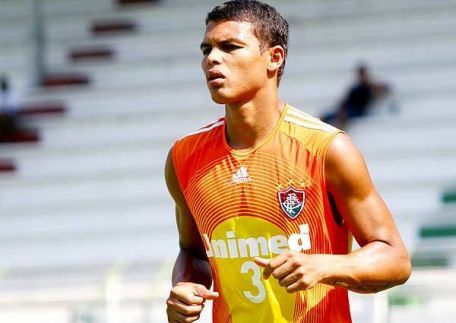 The poor guy started off with Fluminense as an aspiring youngster, but the club didn’t offer him a senior contract. He had to be rescued by a state club, RS Futebol. Fluminense, Y U no give Thiago Silva contract? Frankly, I had not heard about this Brazilian club before I read his Wikipedia profile. But that was the break he needed. Juventude soon came calling and one season was enough for European vultures to hunt him down. He packed his bags and settled in at Estadio do Dragao with Porto. Lady luck didn’t favor him much and he moved to the chills of Russia with Dynamo Moscow. Injuries didn’t spare him there, either. Fluminense might have been regretting their earlier blunder and offered him a chance to resurrect his career back in Brazil. The next two years were hard work day in, day out. It paid off when Uncle Fester paid 10 million Euros and added yet another Brazilian to the Rossoneri ranks. Silva hasn’t looked back ever since, and that’s stating the obvious. With class personified Alessandro Nesta looking over him like a caring elder brother, Senor Silva has risen to become the best defender in the world. Real Madrid want him, Barcelona want him, PSG want him, Chelsea want him; tell me who doesn’t? Amongst all the named clubs, I don’t like the constant links with Barcelona. And it’s obvious why: they are the pretenders for the title of ‘Best club team of all time.’ Their relatively poor defense is the only aspect of their game stopping Guardiola and his midgets from poaching the title from us. 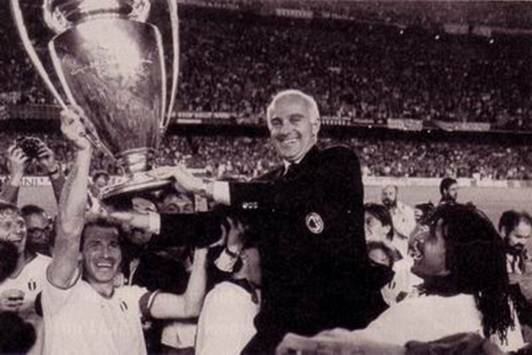 Their competitors are Arrigo Sacchi’s legendary Milan. That team was built with platinum in defense: Baresi, Maldini, Tassoti and Costacurta – boy, did we have a defense? Some flair and style was added with Rijkaard and Donadoni in midfield. Dutch diamonds, Gullit and Van Basten, were sprinkled up front. These guys knew how to hold onto a trophy. Now, being a staunch follower of Italian school of football, I believe a team cannot be truly great without a great defense. In Silva, Barcelona now chase the last piece of the puzzle. We shouldn’t give it to them. Duh! Silva has stifled rumors time and time again. But should he be tempted? Yes, of course. At Milan, he receives €4 million annually. Pato earns as much – and he’s hardly been handy this term. Compare that to Real Madrid and Barcelona, where players earn more than $7million a year, on average – I’m too lazy to do the conversion. Now THIS is future captain kind of money. Nemanja Vidic earns $7 million dollars a year. 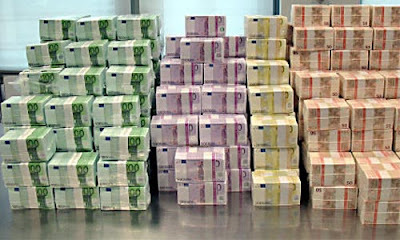 John Terry pockets €9.1 million including bonuses. Sergio Ramos was apparently getting paid €6 million back in 2008. I think I have made my point here, that the best defender in the world is severely underpaid. He’s just peaked; at 27 years of age, the best is yet to come. Milan youth setup is in dire straits when compared to the glory years of 80s and 90s. Keeping that in mind, a few more millions would be a small price to pay. Gosh, at least pay him more than Mathieu Flamini (€4.5 million). Thanks again to @Calcioreports for the timely post. I for one am glad the dog did not eat his homework.